The vampire bat lives up to its name. Its diet consists of blood, which it gets by biting animals and lapping up their blood. The vampire bat prefers to feed on domestic animals such as cows and pigs. When it does so, there is a risk of transmission of pathogens such as rabies. 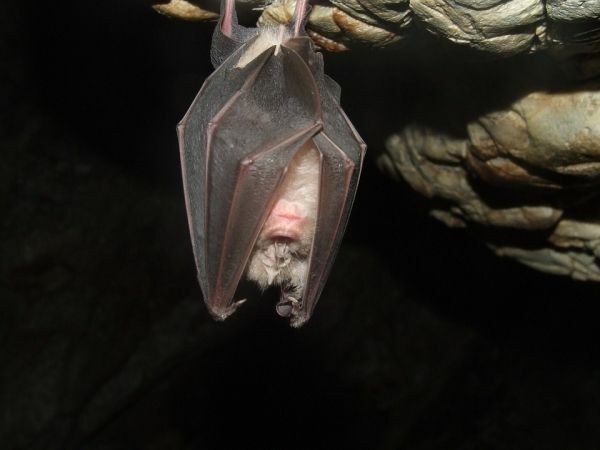 Now, a new study lead by Assistant Professor Kristine Bohmann from the Natural History Museum of Denmark, University of Copenhagen, describes a new DNA method to efficiently screen many vampire bat blood meal and faecal samples with a high success rate and thereby determine which animals the vampire bats have fed on blood from. Furthermore, the authors show that the technique can be used to simultaneously assess the vampire bat’s population structure. When the sun sets in South and Central America, the vampire bats wake up and fly out in search of animals that can provide vital food, blood. When the vampire bat bites there is a risk of transmission of diseases such as rabies. In order to control rabies transmitted by vampire bats, it is crucial to have a method that allows large-scale assessment of which animals the vampire bats feed from. A new study, led by researchers from Natural History Museum of Denmark, University of Copenhagen, shows that the so-called DNA metabarcoding technique can do just that. - Based on our study, in the future DNA metabarcoding can be used to empower projections of vampire bat related transmission risks, and this can be used to develop strategies to prevent exposure of rabies to humans and animals, says Assistant Professor Kristine Bohmann from the Natural History Museum of Denmark, University of Copenhagen.